Your new Holiday Home can be sited and connected on a variety of parks depending on your budget and personnel requirements. Transport, Siting, Connections, and park premiums may apply. please enquire for pricing, Costs will varey from park to park. For a relaxing holiday in North wales look no further the Ty Gwyn Holiday Park. With local towns of Towyn and Abergele on the doorstep and direct access to the beach via the coastal path, there really is everything you need right here for your holiday. Wether you own a static caravan or tourer, Ty Gwyn will have something for you. Our parks are also within a few minutes walk of the hustle and bustle shops and markets that are such a popular feature of Towyn and the surrounding area. When looking for a holiday home, location is very important and, at Browns, Happy Days & Edwards we have something for everyone in a fantstic location. Castle Cove Holiday park is ideally located a stones throw away from beaches and country side to give the best of both worlds. The perfect setting for your static caravan. Located just 5 minutes drive from the main A55 expressway. The Park is also within easy reach of all the major North Wales Visitor attractions, beaches and inland beauty spots. Cafe bar serving quality home cooked food with a variety of beverages available. We enjoy a seven and a half month licence on our Static Park, the season begins on the 21st March and we close on 31st October. A warm, welcoming and family run park. priding ourselves on location, peace and quiet. Owning your own holiday home at Edward’s is more than just somewhere to go at the weekends and during the holidays. It’s a lifestyle where you’ll make new friends, visit new places, explore and experience a range of facilities both locally and the whole of North Wales. At Edwards caravan park we aim to provide a place where you can hide away and relax. Having our many facilities on site allows you to switch off and enjoy our exclusive park. As we are a family run park, we pride ourselves on our high quality and friendly relationship that we have with all our owners. We always aim to have a range of good value new and used static caravans available for sale. For families who are trying caravanning for the first time or for new and existing customers wishing to upgrade. We enjoy a ten and a half month licence on our Static Park, the season begins on the 1st March and we normally close on or around the 6th January. Barlow’s Caravan Park was established by George William Barlow circa 1965 and is a family run business just outside the town of Caerwys. Nestling in the beautiful North Wales countryside, the caravan park has been built within CoedMaesMynan Woods, offering stunning views towards the Clywydian Ranges area of Outstanding Natural Beauty. Caravan owners have direct access to the woodland and network of local footpaths. A PEACEFUL AND LAID BACK HOLIDAY PARK THAT BASES IT’S EMPHASISON A COMMUNITY SPIRIT. A private haven to escape the stress and pressure of everyday life, and only an hour’s drive from homeSpring Gardens in St. Asaph, North Wales, is just the place to do that. There’s no sub-letting or renting of caravans, everyone here privately owns their own so there’salways a sense of security and also that welcoming feeling every time you drive through the gates. Gwyn and Haf Williams acquired the park around 8 years ago when it was just a dilapidated touring park. Following the approval of planning permission they have turned it into a lovely 72 pitch static caravan and holiday lodge park of some distinction. 10.5 month season - 2015 Prices T.B.C. Located in the increasingly popular holiday destination, Towyn, of the North Wales coast. 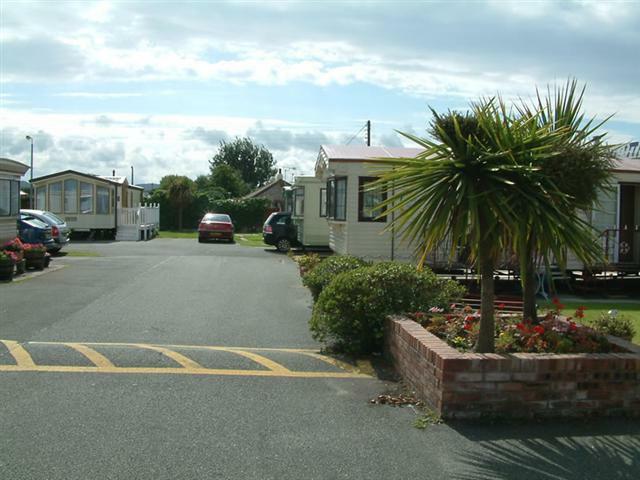 Kerfoots Caravan Park is a family run park within the heart of Towyn, a stones throw away from sandy beaches. No commercial letting: only close friends and family. We enjoy a seven and a half month licence on our Static Park, the season begins on the 20th March and we close on 3rd November. Kerfoots is a family run site with everything you need for you dream holiday home. Beaches, countryside and a vast number of leisure activities all easily accessed from the A55 motorway which is only a 10 minute drive from Kerfoots. Our park has a large playing area away from the main road, fairgrounds and amusements all within 5 minute walk for the children, bars, clubs and pubs with regular entertainment also within walking distance.